After successfully installing Windows XP and Ubuntu 9.10 Karmic Koala on my Axioo-Karma (Axioo MNC 215P), I had a little problem with the display monitor. Monitor Resolution can only be set at 800 X 600 pixels which of course makes it uncomfortable. enter the password when prompted. After that, restart Ubuntu and now you can change the resolution to 1280 X 800 pixels. One disadvantage of this technique is not yet support 3D programs like compiz, etc, but I feel quite comfortable with this view. One that I like about Linux especially Ubuntu is that after we install Ubuntu we won't be bothered finding another program for processing documents, play songs or movies, edit pictures or anything else. By installing Ubuntu you've got it all. Some packages are automatically installed when you install Ubuntu. Some we have to install manually. For example if we want to play music with the mp3 format then we must install resticted packages. If we connect to the internet, then Ubuntu will automatically download it from the ubuntu server, but if we are not connected to the internet or our internet connection is poor, then we can install it with DVD repository. Repository is a collection of programs or the linux package. We can get it by downloading from the Ubuntu server or local miror servers. If you have trouble to get it, you can contact me to get one for FREE (excluding the cost of burning to DVD and postage). Ubuntu 9.10 DVD Repository contains seven DVDs. Sometimes a package requires other packages or programs (dependencies), so if we install from the DVD repo, then we should put some DVDs in turn. Depending on the package that we install, we sometimes have to insert and remove the DVD dozens of times, an exhausting work. If you dont want to do that, then we can set up a local repository on hard disk, so Ubuntu will instantly retrieve files from your hard drive so the installation runs much faster. To install a local repository, we need repository DVDs for copying to hard disk. Create a new folder where we will put a repo file for example in "/home/repo/"
If password requested, enter your password. This command means copying contents of the DVD to the folder /home/repo and named it karmic-repo1.iso (iso image file format). Wait until the process is completed and the DVD ejected out of the DVD rom. Repeat with six other DVDs, do not forget to change the file name. Step 3: Now it is time to mount all the ISO files automatically in the folder /home/repo to /mnt. save the file /etc/fstab and exit from gedit. Restart ubuntu to mount file we created earlier automatically. To determine whether the files have been mounted, you can view it by opening the System Monitor (Sysem> Administration> System Monitor) in the File Systems tab. Step 4:Conect Software Sources to the repo file. Open Software Sources (Sysem> Administration> Software Sources). deb file:/mnt/repo1/ karmic main (without quotes) in the apt-line box. Repo file is now ready. You can add a package of programs in several ways, through the terminal with apt-get, through the Ubuntu Synaptic Package Manager and through Software Center. 1. Previously you needed a master Windows XP CD first and then input in the CDROM / DVDROM you. Then restart your computer.In Some Case (Like My Axioo MNC 215P) we must enter BIOS by pressing F2 Key and set the preferd OS to Windows XP, or Your installation may not run. In another mainboard, you must press del key to enter BIOS. 2. Change the boot sequnce to boot from CDROM firt, then press F10 to save your configuration. 3. Wait until the computer restarts and boot from CDROM for installing Windows XP. 4. Choose option to install windows and continue on Lisencing Agreement, choose Agree. 5. In the image positions unfilled by the system partition windows. Press C to create a new partition on the hard disk and Enter to install. 6. Then input how much capacity you want to create partitions in units of megabytes (MB) and press Enter to create a partition. 7. Then press Enter to do the install. 8. And choose the NTFS file system (Quick) or FAT file system (Quick) and press Enter, I recomeng to use NTFS for better performance. 9. Continue the process of installation. You must provide the information such as Name, organization, CD Key Number etc. 10. Furthermore just clicking Ok, and Windows will continue finishing installation for several minutes. Just follow the step untuill computer reboot and the installation has finished. 1. First, you need the appropriate CD installation of Ubuntu 9.10. Match it with your computer architecture (i386 or amd64, 32 or 64 bit). 2. Insert the CD to CD / DVD ROM then restart your computer. 3. Choose the language you want and then select the 2nd option for "Install Ubuntu" and press the "enter"
4. Wait until the CD is loaded in the RAM . You'll see a wallpaper for some time. When the installer appears, you will be able to choose the language you want for the entire installation process. Click the "Forward" to continue. 6. Test your keyboard. On the third screen, you can choose the keyboard layout you want. However, usually the default layout is often used. Click the "Forward", if the keyboard configuration has been completed you specify. 1. If your computer already exists another os (eg Windows XP) and you want a dual boot system, select the first option: "Install Them side by side, Each choosing Between Them at startup." Because you has installed Windows XP then you can select this option. 2. If you want to delete the existing operating system or hard drive is empty and you want the installer automatically partition the hard drive, select a second option, "Use the entire disk." 3. The third option is "Use The Largest continuous free space" and will install Ubuntu at 9:10 was partitioned space on your hard drive has not been selected. 4. The fourth option is "Specify partitions manually" and this option is highly recommended for advanced level users, this choice to create a special partition or formatting the hard drive with another file system. This can also be used to create a partition for / home that is extremely useful for the whole system re-installation. - Select "Specifiy partitions manually (advanced)" and click the "Forward". - Make sure your hard drive chosen is correct. / Dev / sda is the first physical hard drive. / Dev / sdb is the second hard drive on your computer. So, make sure your hard drive where you want to format! If not, you will lose all data on your hard drive! - Suppose the selected hard drive is empty (no operating system or important data on your hard drive is selected), but there are few partitions. Select each partition and click "Delete" button. After some time, will appear the word "free space". Do the same with the other partitions on your hard drive that is selected until all erased and appears the word "free space". - Select the word "free space", then click "Add" button. In the new window, type 2000 in the "New partition size in megabytes" and select the option "swap area" from the drop down list "Use as:". Click the OK button and within moments you'll see the lines of "swap" with a specific size. - Select the word "free space", click "Add" button. In the new window, select the option "Primary", type a value between 10,000 and 50 000 in the column "New partition size in megabytes", and select / as the "Mount point". Click the OK button and within moments you will notice the line "ext4 /" with a specific size. - Select the word "free space", click "Add" button. Munbul In the new window, select the option "Primary", type a value between 30,000 and 50,000 (or the remaining space on your hard drive) in the column "New partition size in megabytes" and choose / home as the "Mount point". Click the OK button and within moments you will notice the line "ext4 / home" with a specific size. 8. Now it will display partition as you choose. If true, please click the button "Forward" to continue installation. Warning: All data on your hard drive that is selected will be deleted and can not be refunded. 9. Who are you? On this screen, you must enter the correct data according to the question. Fill out the fields with your real name, the name you want to log on the Ubuntu OS (which is also called the "username" is required to login to the system), password and computer name (it is written automatically, but you can change). 10. Are you really ready to use Ubuntu? This is the final step of installation. At this stage, you can choose to install the boot loader on another partition or hard drive, but this is highly recommended for those who have an advanced course. 11. Click the "Install" to begin the installation process. Operating System Ubuntu 9:10 (Karmic Koala) will soon be installed. 12. After approximately 10 to 18 minutes (depending on the specifications of your computer), a pop-up window will appear, reminding you that the installation is complete, you need to restart your computer to view the operating system running Ubuntu. Click the "Restart now". CDs will be excluded from the CD ROM, and press "Enter" to reboot. The computer will reset, in a few moments you will see the Ubuntu boot splash, and Xsplash. 2004 - In April 2004, Mark Shuttleworth began to round up a small but immensely talented and dedicated group of open source developers to create a revolutionary new Linux desktop. Based on the principles of time-based releases, a strong Debian foundation, the GNOME desktop, and a strong commitment to freedom, this group operated initially under the auspices of http://no-name-yet.com. The first official release of Ubuntu was made in October 2004 and was duly named Version 4.10, thus introducing the Y.MM numbering system. While under development, Version 4.10 was affectionately known as "the Warty Warthog," a name which continued to live on past the time when most development codenames die. Every release since then has had a similarly alliterative codename. These early days in the project's history provided the basis of many of the naming conventions which continue today. For example, the early testing community of Version 4.10 was called the Sounder, named for the collective noun of warthogs. The Sounder mailing list continues today as an open discussion forum for the community, and development milestones continue to be named for the collective noun of the codename animal. Interest in Ubuntu was dramatic from the outset. 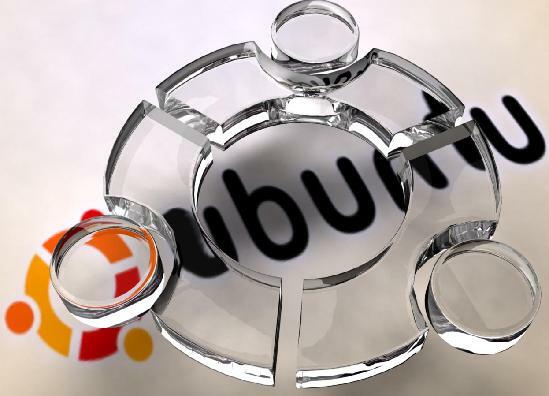 There were nearly 3000 messages on the ubuntu-users mailing list within the first two weeks, and the community focus of the project attracted key contributors. One of the first community driven teams, the supremely dedicated Documentation Team, was founded in late 2004. The first incarnation of the Ubuntu Developer Summit was held in Oxford, UK in August followed by the Mataro Sessions in Mataro, Spain in December. 2005 - The following year saw dramatic growth in the Ubuntu community. Hundreds and then thousands of free software enthusiasts joined the community. The core development team continued to grow, and dedicated volunteers around the world found new ways to contribute through code, advocacy, artwork, documentation, wiki gardening, and more. The community played significant roles in defining the future of Ubuntu at the Ubuntu Developer Summits in Sydney and Montreal. Ubuntu 5.04 ("Hoary Hedgehog") was released in April 2005. At the same time, the first release of Kubuntu was made, to the delight of KDE fans worldwide. In addition to the much anticipated Ubuntu and Kubuntu releases, Edubuntu was released for the first time to address the educational market with the release of Ubuntu 5.10. 2006 - The Ubuntu project took a significant step forward in 2006, with the release in June of its first "Long Term Support" or LTS release. While all Ubuntu releases are provided with 18 months of free security updates and maintenance (and commercial support), enterprise users were demanding a longer support cycle to match their upgrade cycles. Thus Ubuntu Version 6.06 LTS ("Dapper Drake") was produced in June. In addition to the extended support cycle, this release also marked the first time a single CD served as a live and install CD, and in which there was a formal Server Edition. 2008 - The Ubuntu project released its second LTS version of Ubuntu, Ubuntu 8.04 LTS, two years after the previous LTS version. This provided users of the 6.06 LTS desktop edition a full year to plan their migrations. Later that year, the 8.10 release featured Wubi, the Windows installer for Ubuntu. 2009 - As Ubuntu gains popularity it gets used in new and exciting ways. The 9.04 release included the Ubuntu Netbook Remix (UNR) designed for small screened netbook devices. Also noteworthy was the inclusion of Ubuntu Enterprise Cloud (UEC) which enabled organizations to deploy a private computing cloud in their own data center. Warty Warthog 4.10 The first "hog"
Hoary Hedgehog 5.04 Meaning "covered with hair", or "mature/old/wise"
Dapper Drake 6.06 Polished, with 5 years of support! Gutsy Gibbon 7.10 Go Ape! Ubuntu's explosive growth is fueled by an enthusiastic community - don't just read about Ubuntu's story, become part of it! Most people use M*******t W*****s, and pirates want to do as much damage (or control) as possible: therefore, they target W*****s. But that's not the only reason; the Apache web server (a web server is a program located on a remote computer that sends web pages to your browser when you ask for them), which is open source software, has the biggest market share (against M******t's IIS server), but it still suffers from much fewer attacks/flaws than the M******t one. Linux uses smart authorization management. In W*****s you (and any program you install) usually have the right to do pretty much anything to the system. If you feel like punishing your PC because it just let your precious work disappear, you can go inside the system folder and delete whatever you want: W*****s won't complain. Of course, the next time you reboot, trouble begins. But imagine that if you can delete this system stuff, other programs can, too, or just mess it up. Linux doesn't allow that. Every time you request to do something that has to do with the system, an administrator password is required (and if you're not an administrator on this system, you simply can't do it). Viruses can't just go around and delete or modify what they want in the system; they don't have the authorization for that. More eyes make fewer security flaws. Linux is Open source software, which means that any programmer in the world can have a look at the code (the "recipe" of any program), and help out, or just tell other developers "Hey, what if blah blah, isn't this a security flaw?". Have you ever lost your precious work because W*****s crashed? Do you always shut down your computer the proper way, or do you sometimes just switch it off because W*****s has gone crazy and doesn't let you do anything anymore? Have you ever gotten the "blue screen of death" or error messages telling you that the computer needs to be shut down for obscure reasons? The latest versions of W*****s, especially the "Professional" ones are becoming more stable than before. Nevertheless this kind of problem still happens fairly often. Of course, no operating system is perfect, and people who tell you that theirs can never ever crash are lying. However, some operating systems can be so stable that most users never see their systems crash, even after several years. This is true for Linux. Here's a good way to see this. When a system crashes, it needs to be shut down or restarted. Therefore, if your computer can stay up and running for a long time, no matter how much you use it, then you can say the system is stable. Well, Linux can run for years without needing to be restarted (most internet servers run Linux, and they usually never restart). Of course, with heavy updates, it still needs to be restarted (the proper way). But if you install Linux, and then use your system as much as you want, leaving your computer on all the time, you can go on like that for years without having any trouble. Viruses, trojans, adware, spyware... W*****s lets all these enter your computer pretty easily. The average period of time before a W*****s PC (connected to the Internet and with a default "Service Pack 2" installation) gets infected is 40 minutes (and it sometimes takes as little time as 30 seconds). So you can either 1) install a firewall, 2) install an antivrus program, 3) install an anti-adware program, 4) get rid of Internet Explorer and Outlook (replacing them with Firefox and Thunderbird), and 5) pray that pirates aren't smart enough to overcome these protections and that, if a security flaw is discovered, M******t will take less than a month to make an update available (and this doesn't happen very often). Or you can install Linux and sleep soundly from now on. As we have already said in the "virus" section, Open Source software (e.g. Linux) means more eyes to check the code. Every programmer on Planet Earth can download the code, have a look, and see whether it might have security flaws. On the other hand, the only people allowed to look at the W*****s source code (its "recipe") are people working for M******t. That's hundreds of thousands of people (maybe millions) versus a few thousand. That makes a big difference. You're probably saying to yourself : "Oh, I didn't pay for W*****s". Are you absolutely sure ? If your computer came with a copy of W*****s, then you paid for it, even if the store didn't tell you about that. The price for a W*****s license amounts to an average of one fourth of each new computer's price. So unless you obtained W*****s illegally, you probably paid for it. Where do you think M******t gets its money from? On the other hand, you can get Linux completely free of charge. That's right, all these guys all around the world worked very hard to make a neat, secure, efficient, good-looking system, and they are giving their work away for everybody to use freely (if you wonder why these guys do such things, drop me an email and I'll try to explain the best I can :) ). Of course, some companies are making good business by selling support, documentation, hotline, etc., for their own version of Linux, and this is certainly a good thing. But most of the time, you won't need to pay a cent. Linux and "Open Source" software are "free". This means their license is a "free license", and the most common is the GPL (General Public License). This license states that anyone is allowed to copy the software, see the source code (the "recipe"), modify it, and redistribute it as long as it remains licensed with the GPL. So what do you care about freedom? Imagine that M******t disappears tomorrow (okay, that's not very likely, but what about in 5 years, 10 years?). Or imagine it suddenly triples the price for a W*****s or Office license. If you're tied to W*****s, there's nothing you can do. You (or your business) relies on this one company, on its software, and you can't possibly make things work without it (what good is a computer without an operating system?). Isn't that a serious problem? You're depending on one single company and trusting it wholeheartedly to let something so important nowadays as your computers work the way they should. If M******t decides to charge $1000 for the next version of W*****s, there's nothing you can do about it (except switch to Linux, of course). If W*****s has a bug that bothers you very much and M******t won't fix it, there's nothing you can do (and submitting bugs to M******t isn't that easy, see the "Report bugs" section). With Open Source, if a particular project or support company dies, all the code remains open to the community and people can keep improving it. If this project is especially useful to you, you can even do this yourself. If a particular bug annoys you, you can submit it, talk with the developers, but even better, you can fix it yourself (or hire someone to do so), and send the changes back to the upstream developers so that everyone gets the improvement as well. You're free to do (nearly) whatever you want with the software. Installing W*****s is just the beginning. Imagine you just installed your brand new copy of W*****s XP and prepare to unleash your computer skills. A friend sends you an email with an attached PDF file : damn, you don't have a program to read it. You need to go online, search for a website that will let you download Adobe Reader (or another PDF viewer), download it, install it, maybe even reboot. Whew, all right, now you're all set. Attached to your friend's email you find a text document, file.doc. Your W*****s can't read that either, right now: great. Either you go buy your copy of M******t Office, or you just download OpenOffice, but still, you need to find it, download it (let's hope you have a broadband connection), install it, etc. Your friend also sent you an image, but it has a bad contrast, bad luminosity, and needs a good crop. So you can now go and buy Photoshop (how many hundred bucks is that again? ), or download the GIMP (this is the name of the free program that can do nearly as much as Photoshop) : search, download, install, etc. That's enough : you get the idea, W*****s is far from complete, and installing it is just the beginning of trouble. Everything you need to write texts, edit spreadsheets, make neat presentations, draw, edit equations. A web browser (eg Firefox) and an email program (eg Thunderbird, or Evolution). An image editor (GIMP) nearly as powerful as Photoshop. A music player and organizer. Everything you need to uncompress archives (ZIP, etc.). You can just start working right away. New pieces of hardware, even the simplest kind, usually come with a CD. On the CD, a very small piece of software called a "driver". If you read the instructions manual, you'll know that the hardware won't work on a W*****s computer until you install the driver. If you're like most people and do not read the manual, then you'll probably figure it out yourself when you see your new high-tech gizmo doesn't work out of the box. Insert CD, click on installation wizard, wait, eject CD, reboot computer. If you bought the hardware a while ago and are re-using it on another computer, you'll probably want to forget about the CD and fetch the latest version of the driver from the manufacturer's website. Which can take quite a bit of time, given how, huh, let's say strangely organized some manufacturers' web sites are. Okay, now that's only one piece of hardware. Now imagine you want to install W*****s on a whole new, untouched, computer. For each little piece of hardware you'll have to find the latest driver (or use a CD), install it, and reboot from time to time. Video card, sound card, keyboard, mouse, motherboard chipset, etc. (better do the video card driver first or you're stuck with your high-end screen showing a very low resolution mode). And that comes after an already rather long installation of W*****s itself. A very fast and standalone installation process. Once you're done, you have everything you need to start working (including the software you'll be using, see "When the system has installed..." item on this website). Less harm for the planet because all these CDs don't need to come with hardware any more (well, at least once W*****s don't need them either...). Update all your software with a single click. W*****s has a pretty convenient tool called "W*****s update", which allows you to update your system with the latest updates available. But what about all your non-M******t software? Adobe applications? ZIP compresser? Burning program? Non-M******t web browsers and email clients, etc.? You need to update all of them, one by one. And that takes time, since each one of them has its own (auto-)updating system. Why copy software illegally if you can get it for free? However, for most people, let's be honest, illegally copied software is very common. Copying Adobe Photoshop instead of buying it probably doesn't let you have nightmares. But are you really confident that you won't ever have trouble for that? Not so sure, huh... Software makers are progressing and finding more and more ways to track down illegal owners, and since more and more people tend to have broadband (permanent) connections, they might add an online functionality on the software that will control and verify your copy each time you launch it. If you run Linux and install free software, you won't have to worry about this ever again! Most of free (as in free speech) software is free (as in free beer). You can find a free replacement for most of the commercial software out there. They might lack some of the advanced functionality, but they'll be more than enough for most people. Need new software? Don't bother searching the web, Linux gets it for you. Search the web to find which piece of software suits your needs. Find a web site that allows you to download it. Whew, that's a lot of work to just try out something new! With Linux, everything is much simpler. Linux has what is called a "package manager": each piece of software is contained in its own "package". If you need some new software, just open the package manager, type a few keywords, choose which software you want to install and press "Apply" or "OK". Or you can just browse existing software (that's a lot of choice!) in categories. Jump into the next generation of desktops. You have been impressed by the 3D and transparency possibilities first introduced in W*****s Vista, and decided that these unique capabilities were worth a few hundred dollars? You even bought a new computer so that you could meet Vista's (very high) requirements? Fooled you: Linux can do better, for free, and with much less demanding hardware requirements. If you already know what fragmentation is, and are already used to defragmenting your disk every month or so, here is the short version : Linux doesn't need defragmenting. Now imagine your hard disk is a huge file cabinet, with millions of drawers (thanks to Roberto Di Cosmo for this comparison). Each drawer can only contain a fixed amount of data. Therefore, files that are larger than what such a drawer can contain need to be split up. Some files are so large that they need thousands of drawers. And of course, accessing these files is much easier when the drawers they occupy are close to one another in the file cabinet. Now imagine you're the owner of this file cabinet, but you don't have time to take care of it, and you want to hire someone to take care of it for you. Two people come for the job, a woman and a man. The man has the following strategy : he just empties the drawers when a file is removed, splits up any new file into smaller pieces the size of a drawer, and randomly stuffs each piece into the first available empty drawer. When you mention that this makes it rather difficult to find all the pieces of a particular file, the response is that a dozen boys must be hired every weekend to put the chest back in order. The woman has a different technique : she keeps track, on a piece of paper, of contiguous empty drawers. When a new file arrives, she searches this list for a sufficiently long row of empty drawers, and this is where the file is placed. In this way, provided there is enough activity, the file cabinet is always tidy. Without a doubt, you should hire the woman (you should have known it, women are much better organized :) ). Well, W*****s uses the first method ; Linux uses the second one. The more you use W*****s, the slower it is to access files ; the more you use Linux, the faster it is. The choice is up to you! No backdoors in your software. The difference between "closed source" (proprietary) and "open source" software is (how did you guess?) that their "source" is open. Huh, okay, why do I care? Well, the "source", or "source code", is like the secret recipe of every software, like the recipe of a cake. When you buy a cake, there's no way you can figure out the exact recipe (although you can guess bits and pieces, "there's some coconut in here"). If a bakery gave out the recipe for its super-sucessful cheesecake, it would soon go out of business because people would bake it for themselves, at home, and stop buying it. Likewise, M******t does not give out the recipe, or "source code", of their software, like W*****s, and rightly so because that's what they make their money from. The problem is they can put whatever they want in their recipe, without us knowing. If they want to add a bit of code saying "every 12th of the month, if the computer is online, create a list of all the files that have been downloaded in this computer since last month, and send it back to M******t through the network". M******t probably doesn't do that, but how would you know, since everything is closed, invisible, secret? A little while ago (October 2008) a lot of Chinese W*****s users (most of them buy pirated copies of W*****s) saw something strange happen with their computer: every hour, their screen would go black for a few seconds. Nothing to really prevent you from working, but it can easily make you go nuts. M******t had added a bit of code (an ingredient to the recipe) saying "if this is detected as a pirated copy of W*****s, make the screen black for a few seconds, every hour". Now the point is not that the software was pirated: pirating software is bad, period. The point is that these users got an automatic update for W*****s (updates usually fix bugs and add new features) without knowing how it would affect their system. No one knew. Changing the source code of open source software is a much more open process. By definition, all the recipes are public. It doesn't matter to you since you won't be able to understand the code anyway, but people who understand it can read it, and speak out. And they often do. Every time someone wants to change the source code, all other developers are able to see the change ("hey man, why did you add this code spying on the user's keyboard input, are you out of your mind?"). And even if the whole team of maintainers for a piece of software go crazy and start adding puppy-killing features all over their source code, someone outside the team can very well take the code, remove all the bad bits, create a whole new version of it, and let the world know what the difference is. It's open. That's why you can be sure open source software doesn't do bad things behind your back: the community keeps a close eye on all the recipes. One of the great assets of the Open Source community (and Linux in particular), is that it's a real community. Users and developers really are out there, on web forums, on mailing lists, on IRC channels, helping out new users. They're all happy to see more and more people switch to Linux, and they're happy to help them get a grip on their new system. So if there's something you don't understand, a program that doesn't behave the way you would expect, or a feature that you can't seem to find, don't hesitate to go and ask for help. If there's somebody near you (family? co-workers?) who is using Linux, he or she will probably be happy to help you out. Otherwise, just go online and you'll find literally thousands of places where nice people will answer you and walk you out of your problem most of the time: geeks actually are very nice people, if you ask your question politely. Just type "linux help" (or replace "linux" with whatever distribution you chose -- see the install section) in Google and you'll undoubtedly find everything you need. W*****s requires more and more hardware power as its version number increases (95, 98, 2000, Me, XP, etc.). So if you want to keep running W*****s, you need to constantly buy new hardware. But I can't see any good reason for so fast an evolution. Of course, many people need a lot of computer power and new hardware and technologies are really helping them. But for most users, who surf the web, read and write emails, write text files and slides, what's the point of buying a new computer every 2, 3 or 4 years, apart from letting computer vendors earn more money? What is exactly the profound reason why your computer can't do any more of what it did perfectly well 5 years ago? With Free Software (eg Linux), the economy (and IT professionals' knowledge) of your country could improve, since there could be a lot of small/medium companies customizing solutions, providing support, consulting, etc. People who know how to do things and retain money in your country will benefit from it, rather than people who just sell boxes with a predefined sales pitch, sending your money offshore, leaving IT professionals without real knowledge about how things work. You may have accounts for several instant messaging services, such as MSN, Yahoo, ICQ, Jabber, AIM, etc. While running W*****s or Mac OS X, you probably need one program to connect to each one of those : MSN Messenger for MSN, ICQ for ICQ, etc. With Pidgin, the instant messenger for Linux (it exists for W*****s as well, and for Mac OS X with the name "Adium"), you can connect to all these services at once, with this one program, and see all your buddies at the same time. If you need Ubuntu CD, please contact us, We'll provide it for FREE.